Read this review, and many more on my blog October Tune! I received a free copy of this book from the author, in exchange for an honest review. This has not changed my opinion on the book in any way! When I received the email, I wasn't sure if I really wanted to read this book. I am not a fan of historical fiction, mainly because I thought the books I read in that genre were pretty boring. But I watched the book trailer, read the summary and thought it sounded quite interesting, so I said yes. 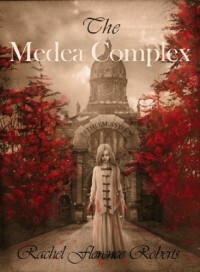 The Medea Complex is about Anne Stanbury, who's admitted to an asylum after commiting a crime. We read the story through several people's eyes, including Anne, her doctor and her husband. I found it a bit difficult to get into the book, because of the way it was written, but mainly because of the following: As you all might know, I am not a big fan of multiple POV's, so I had to get used to that as well. I personally didn't really feel any differences between the characters. So I was glad that at the beginning of each chapter, the name of the POV was written. But I do get why the story had to be written that way, because Anne spends some of her time in a cell where nothing much happens, so other characters were needed to tell the story. I probably wouldn't have liked the book if the whole story was written from Anne's POV to be honest. There was one other thing that I'm not really a big fan of, and something that happened in this book; writing in accents. J.K. Rowling did it (Hagrid, anyone), and it's just something that annoys me so much. Sometimes it's hard enough for me to keep my attention to what I'm reading, and when a character speaks in an accent it's even harder. Nine out of then times when this happens, I just completely read over everything that character says, even though that means I won't understand part of the story. Apart from that, I did like this book, and if you are looking for a nice historical fiction book, I recommend The Medea Complex to you!